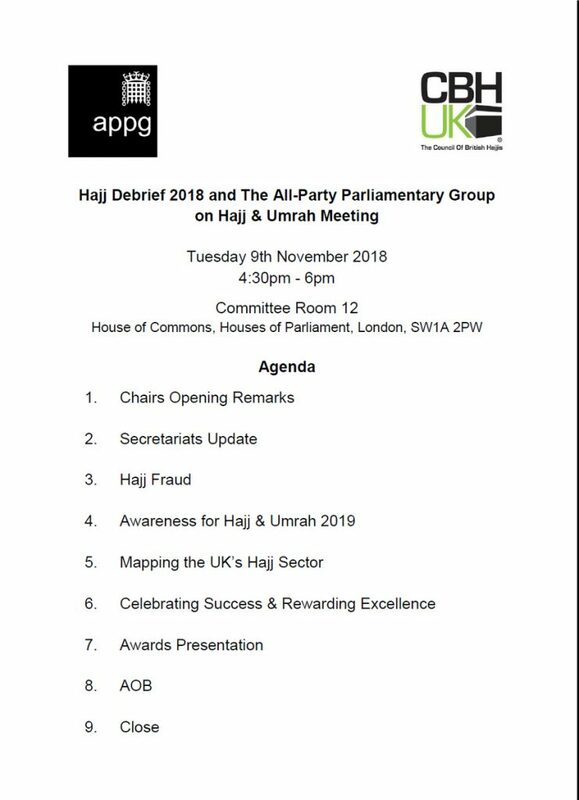 On Tuesday 9th October 2018 we hosted the CBHUK (the Council of British Hajjis) 4th Annual Hajj Debrief and the All-party Parliamentary Group on Hajj & Umrah Meeting in Parliament. Supported by Yasmin Qureshi MP and Tracy Brabin MP. 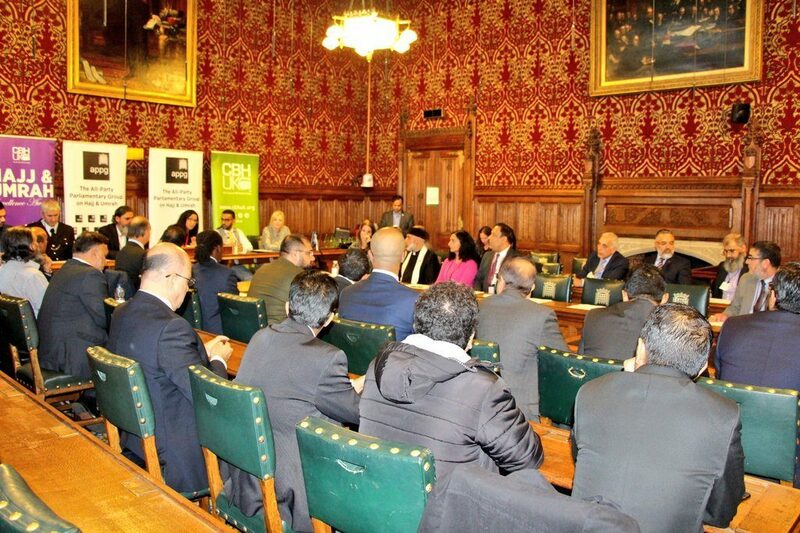 Yasmin commended the work of the Saudi Ministry of Haj & Umra and Ministry of Health for services delivered to British pilgrims and for an incident free Hajj. 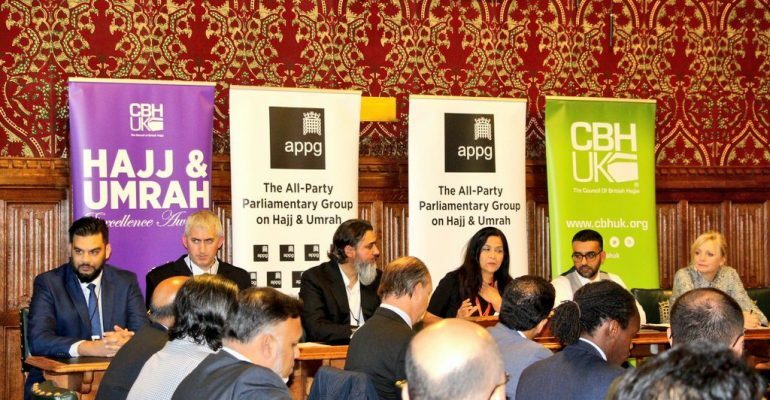 Issues around Hajj fraud still remain in UK. 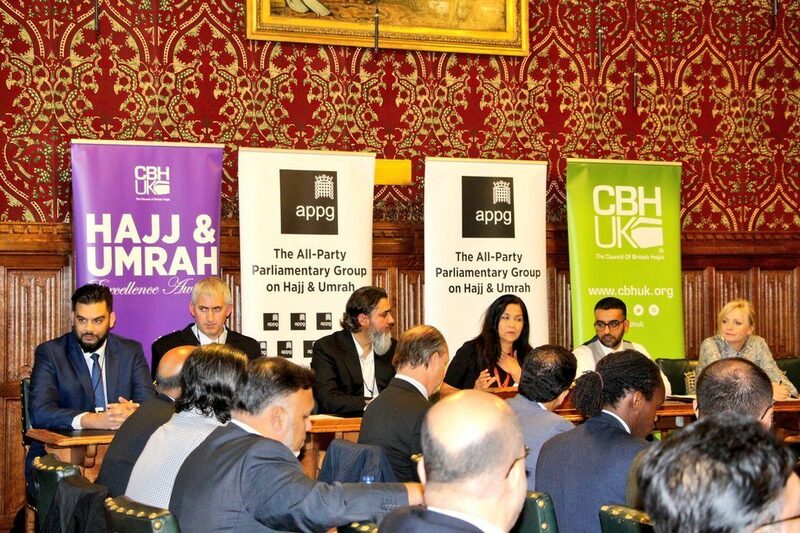 Heart breaking victim testimonies by Razia and Wasim were heard which sparked a debate amonsgt the attendees. 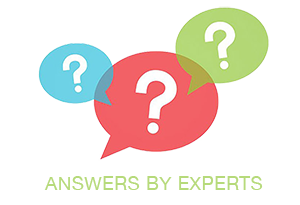 The chair requested a special meeting to be arranged with key stakeholders to address this issue very soon. 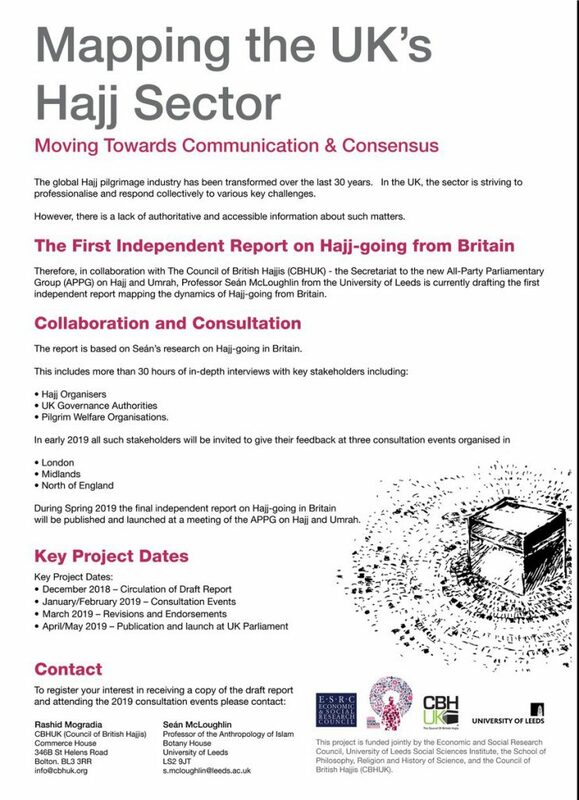 Rashid Mogradia (CBHUK) Launched “Mapping the UK’s Hajj Sector” consultation programme being delivered by Prof. Sean McLoughlin from Leeds University. (Details below). Recognised Success and Excellence from within the community who all received an award. 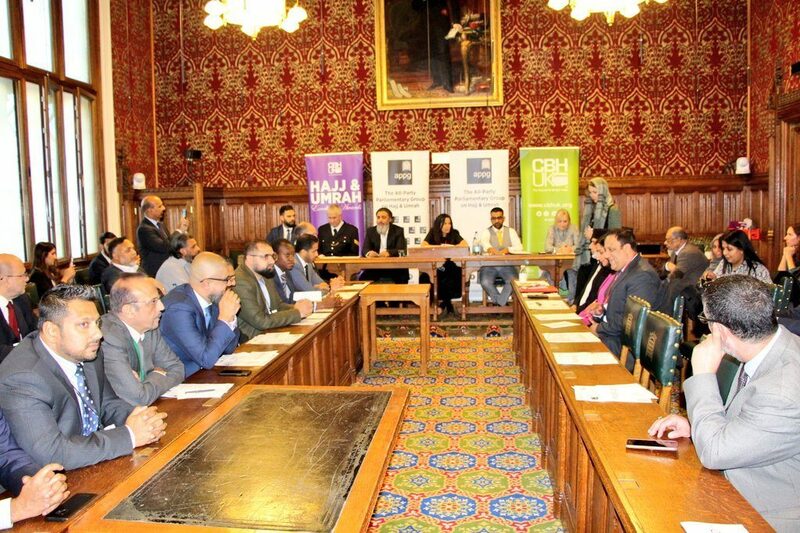 Launched The Hajj Awards 2018 taking place in November 2018! Visit www.appghajjumrah.org or www.cbhuk.org or www.thehajjawards.com for more info. 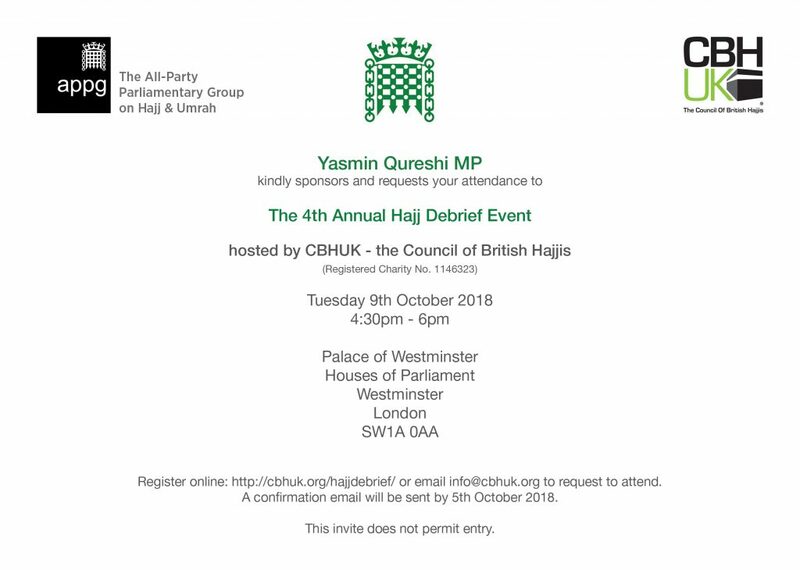 The 4th Annual Hajj Debrief takes place in London at the Palace of Westminster, Houses of Parliament on Tuesday 9th October 2018 at 4:30pm. Umrah Vaccination Clinic – Sat 5th March 2016 – BOLTON – Book Now!